Living without a credit score is one of the basics of personal finance that I teach on a regular basis. However, I’ve found that telling people they don’t need a credit score tends to freak people out a bit. Most people get this weird look on their face and politely listen to what I’m saying. But when I’m done explaining how they can live without a credit score, they start asking a lot of questions. As I’m answering their questions, most of them start giving me reasons why living without a credit score could never possibly work for them. It’s sad really, because they tend to dismiss the concept out of hand without putting much thought into it. They don’t get that a credit score is a measure of how well you borrow money. And borrowing money to fund the typical consumer lifestyle is a losing proposition in the long run. It’s ruining our families, increasing our stress levels, and compromising our futures. You don’t have to play that game! Can You Really Live Without a Credit Score? Our financial culture is massively tuned in to using credit for anything and everything. 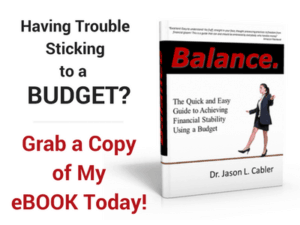 Because of that, you are constantly told that you must have a credit score to do anything in life, such as buying a house or car, renting an apartment, or even getting a job. The effect of all this is that too many of us believe that debt is a necessary part of life and we can’t do much about it. We are so constantly bombarded with being told we need a credit score that we don’t even realize that it’s actually ok not to have one. So I thought I'd address some common questions I get about living without a credit score. Can I Rent a Home or Apartment Without a Credit Score? Yes, you can rent a place to live if you’re living without a credit score. Most landlords will want to check your credit score before they rent to you. But if you are willing to put up the first and last month’s rent, along with any deposits they require, most will be willing to work with you. If not, you can find someone who will. You should be up front about why you’re living without a credit score. Let them know that you don’t like to take out debt and using cash is your mode of operation. Most of them will respect that. They may not understand it but most will respect it. Truth be known, most landlords have debt on their rental property. 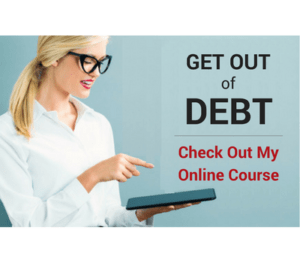 So you will be in better shape than them when it comes to using debt. 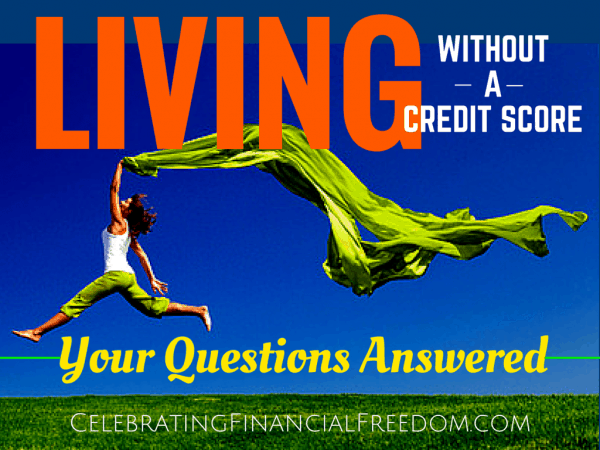 How to Live Without a Credit Score- Your Questions Answered! Yes, you can get a mortgage without a credit score. It’s a slightly different process than getting a traditional mortgage, but not much more difficult. To get a mortgage without a credit score you’ll need to find a lender that does manual underwriting, also known as no credit score lending or non-traditional credit lending. This simply means they will look at other aspects of your financial life to determine whether or not to give you a mortgage. The Size of Your Down Payment- The bigger your down payment, the more likely you are to get a mortgage. Employment History- The longer you have been at your job, the better. Most lenders want to see at least 2-5 years of steady employment at a steady rate of income. Rental History- If you have been renting a place to live, they will want to find out if you have ever been late or defaulted on rent payments. Utility Payments- You will do well if your utility payments are always on time and you’ve never fallen behind. The better job you have done managing your financial life, work life, and saving for a down payment, the more likely you are to get a manually underwritten mortgage. Can I Get a Job Without a Credit Score? Yes, you can get a job without a credit score. As part of the hiring process, many employers want to know as much about you as they can. This includes your credit score. This is especially true in financial industries such as banking, lending, mortgage lending, real estate, etc. The best way to handle this is to ask about the hiring process up front. If checking your credit score is part of that process, then be up front and let them know you don’t use debt. If they know this ahead of time, they won’t be surprised when they check your score. This may actually work in your favor in that employers want to hire responsible people, and being debt free with no credit score is a good indicator that you are responsible with your finances. Is There an Alternative to Having a Credit Score? There actually is an alternative to the traditional credit score that doesn’t require you to take out debt. A company called ECredable has come up with an alternative credit score built upon your payment history for things like rent, utilities, phone bills, cable bills, insurance premiums, and other payments usually not considered in a traditional credit score. Using your payment history, they compile your AMP (All My Payments) score, which is equivalent to a credit score from the traditional credit rating agencies. In fact, your AMP score has the same legal standing as other credit scores. Also, it must be considered that way by any lender. Therefore it can be used when renting a home, getting a mortgage, or any other time you may need a credit score without having to go into debt to get it! I’ve seen too many people who live and die by their credit score get into a huge pile of debt that makes their life miserable. I get emails from people every day who are depressed, have troubled marriages, and little hope, all because they believe the myth that debt and credit scores are a necessary part of life. Living without a credit score is easier than you think. It does take a little extra planning and patience. But isn’t it better to be debt free instead of playing the credit score game the big banks want you to play? Isn’t it better to not be a slave to debt payments that limit your freedom and choices? Question: Do you think you could live without a credit score? Leave a comment and tell me why/why not. Our last debt was college debt and we have never had a credit score or a credit card. Now that we would like to get a credit card to use for the flight miles when traveling for business, we can’t get a card. Any ideas on how to get around that one? Since I don’t advocate the use of credit cards, I’m not well versed in that information. 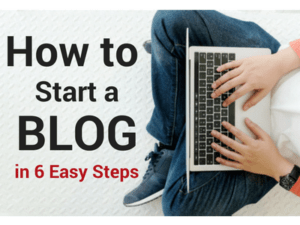 If you really want to build credit, you may have to start out with a prepaid credit card, build your credit score with it, then get a rewards card. Again, I don’t recommend using credit cards, especially just for rewards.